BJP chief Amit Shah alleged that Congress promoted casteism, appeasement of some communities and dynastic politics for their political gains, but it eventually adversely affected the democratic structure of the country. BJP chief Amit Shah today slammed the Congress saying the party had floated the idea of 'committed judiciary' during the Emergency imposed by former prime minister Indira Gandhi, and is now using impeachment as a weapon to influence the legal system. 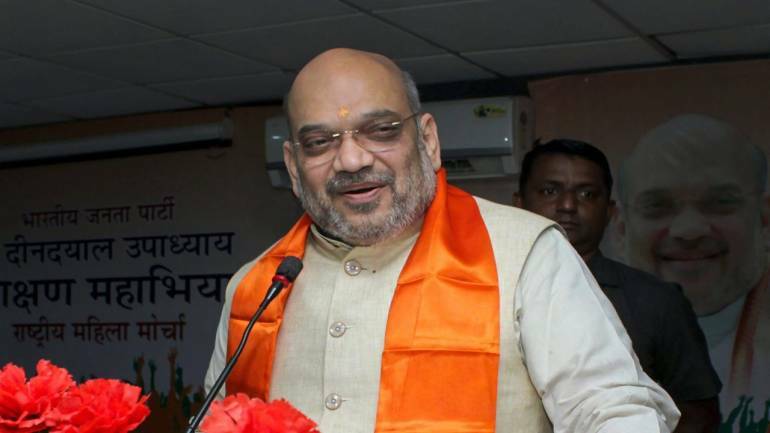 Rubbishing Opposition's claims on alleged crisis in the judiciary during the BJP's rule, Shah said if a judgement comes in their favour, the Congress leaders appreciate the judiciary, but if it goes against them, they bring an impeachment motion against the judge. "During the Emergency, judges were reluctant to give bail to those who were lodged in jail. Because Indiraji had started this experiment of creating committed judiciary. She bypassed three judges and made Mr (A N) Ray the chief justice (of India). Two of those judges were from Gujarat," he said. Shah was speaking at a function organised by the state BJP here today to felicitate those who fought against the Maintenance of Internal Security Act (MISA), through which the Emergency was imposed by Indira Gandhi in 1975. "Such an attempt to create a committed judiciary had started influencing the decisions of courts across India. That is why many organisations came forward to fight against it. I am proud of the fact that BJP's earlier avatar Jan Sangh, was leading from the front," said Shah. "It makes me laugh when Congress now cries about the freedom of judiciary. Because, it was the Congress which floated this principle of committed judiciary and Indira Gandhi started implementing it. Today, this principle has become their habit," Shah alleged. He linked the Congress' failed attempt to bring an impeachment motion against Chief Justice Dipak Misra recently, with the days of Emergency to claim that impeachment is being used a weapon by the opposition party. "If a judgement comes in their favour, they appreciate the judiciary. But, if a judgement is passed against them, Congress leaders do not hesitate to bring an impeachment motion against the judge," Shah said. "When they were ruling, Congress tried to create committed judiciary by using their power. Now, when they are in opposition, they are using impeachment as a weapon to create a committed judiciary for them," Shah alleged. Referring to the Gandhi-Nehru family, he attacked Congress saying that a party which lacks internal democracy can never give a stable democracy to the country. He alleged that Congress promoted casteism, appeasement of some communities and dynastic politics for their political gains, but it eventually adversely affected the democratic structure of the country. "Since BJP has internal democracy, a booth-level worker like me is the president of a party having over 11 crore members, while a person (Narendra Modi) born to a tea-seller is now our Prime Minister. This is how we preserve the democratic values," he said.